Hello, They call me BONEFISH COLIN. I live in the settlement of Cartwrights on Long Island, Bahamas. I have been guiding for bonefish for some fourteen years now. 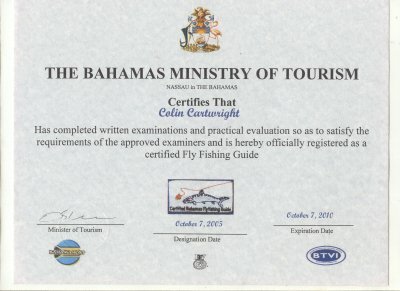 I were the first and only certified bonefish guide to own and operate a bonefish lodge here on Long Island, in the Bahamas. 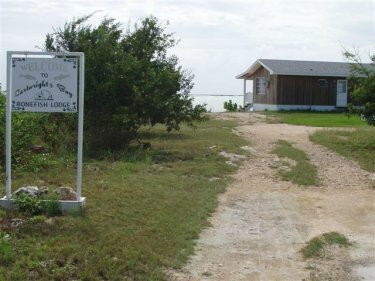 At first, when I built my lodge back in the year of 2000, I named it Triple Seas Bonefish Lodge, but in October of2005, I renamed it to Cartwright's Bay Bonefish Lodge. My aim is to satisfy my clients to the best of my ability on a good day of fishing. I concentrate more on spotting and finding the bonefish, so my clients can land them. I also take my clients out on the ocean to do some blue water fishing, fly casting and light trolling for Dorado, Yellow Fin, Skip Jack and Black Fin Tuna, King Fish and Barracudas. Anglers can book direct to my lodge and enjoy a memorable trip of fishing. Fly fishing at Cartwright's Bay Bonefish Lodge is second to home. At night you would sometimes see Tarpon rolling on the surface of the water near your bedroom windows.